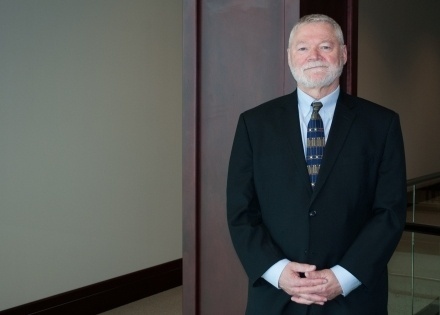 Judge Paul G. Buchanan has extensive experience and problem-solving skills from large complex governmental and public institutions, to the individual needs of an infant. As an Erie County Family Court Judge he presided over trials and proceedings concerning; Custody, Neglect and Abuse, Domestic Violence, Support and Juvenile Justice matters. In conjunction with the National Council of Juvenile and Family Court Judges, he operated one of 8 National Juvenile Delinquency Model Courts, which employed Juvenile Justice Guidelines promulgated by NCJFCJ and the United States Department of Justice. A substance abuse treatment court for youth was also convened. As a member of the New York State Family Court Advisory and Rules Committee, he reviewed pending legislative proposals and recommended Family Court Legislation and Practices to the New York State Legislature. Judge Buchanan presents at National, State and Local organizations on topics of Juvenile Justice Reform and Family Law. While President of the Buffalo Board of Education he employed his legal and financial skills in a number of major accomplishments and crisis management situations. The Joint School Construction Board was created, which invested $1.2 Billion in school infrastructure over 10 years. Litigation resulting in a $100+ million judgment in favor the teachers’ union was resolved. A teachers’ strike was settled and a new contract approved. Educational and management reforms were also begun in cooperation with the National Council of Great City Schools. As Confidential Law Clerk to a NYS Supreme Court Justice, he engaged in complex civil litigation and jury trials of commercial, personal injury, contract, matrimonial, governmental and other cases. Extensive legal research, writing and analysis in addition to conducting settlement conferences was required. As Deputy Comptroller of the City of Buffalo, he had management responsibility for municipal financial functions such as payroll, accounts payable and receivable, contract compliance and internal audit. He assisted in financial analysis and proposals presented to Wall Street ratings agencies. Improving Outcomes for a Juvenile Justice Model Court: A Realist Evaluation, by Mansoor A.F. Kaza, Ph.D., Saura Frounfelker, MSW, Anne Barton, MSW, Judge Paul G. Buchanan, Juvenile and Family Court Journal, 63 no. 3 (Summer 2012).